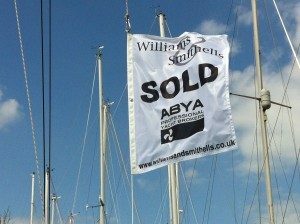 Sell your yacht through Williams & Smithells we have a proven track record of sales over almost 40 years. Following a very successful sales run we are actively looking for quality yachts to sell with a list of buyers waiting. As full members of ABYA (Association of Brokers & Yacht Agents), we work to a code of practice to ensure high levels of service for all clients buyers or sellers. It would help us with your initial enquiry if you can confirm you hold all the documents listed below. Prior to our team starting the listing preparation work for any yacht the vendor/s must provide us with, evidence of ownership Bill of Sale/Act De Vente/Contract, Certificate of Registry, clear proof of VAT/Tax payment or exemption, Declaration of Conformity for RCD (and if in Greece the correct cruising documents DEKPA or Transit Log).